Make a reservation. Call 715.379.2942 now! 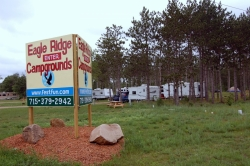 Come camping at Eagle Ridge Campgrounds in Chippewa Falls, Wisconsin! 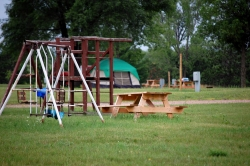 Conveniently located between the Hallie Ballfields and Casper Park, Eagle Ridge Campground gives you easy access to the best of the Chippewa Valley. Our Chippewa Falls campground is just a couple miles off Business Hwy 53, but you’ll feel like you're a million miles away. Come stay with us! There are 24 sites to pull your camper or park model in for the season and 54 pull-thru sites for big rigs available for shorter stays. If you're looking for a more primitive set up, we also have plenty of places for you to pitch your tent for the night. When you're out walking, it will soon become apparent why we called it Eagle Ridge Campgrounds. There are several nesting pairs of bald eagles that call this part of the woods home. You also might run across some of the wildlife native to this area: wild turkeys, deer, osprey, and wood turtles to name a few. 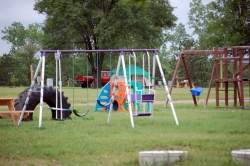 Includes water, sewer, and option to leave trailer on the site for the off-season. Contact us today. Leinenkugel Brewery offers daily tours of their facilities in Chippewa Falls. After 104 years in business they’ve built up quite a legend. Luckily there's a tasting room to find out if it's as good as everyone says! Autumn Harvest Winery is a family-owned business that started out as just an apple orchard. The McIlquham family grew apples for over 80 years. Now John & Marykay McIlquham have added a new dimension to the traditional apple orchard. They've added tasty wines and hard apple cider. During the season you can indulge in complementary samples of their wines and gourmet nibbles. River Bend Winery, which enjoyed its inaugural season in 2009, has a wine tasting room open weekends all summer long. You can purchase wine by the bottle or sit out on their veranda and enjoy it by the glass. So you're not a nature lover, wine or beer aren't your deal – what else is there to do when stopping it at our campgrounds in Chippewa Falls? How about ball tournaments? 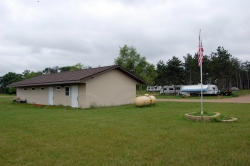 Our campground is strategically located across the street from Hallie Ball Park and within two miles of Casper Park in Chippewa Falls. It's a great place to call your home base during tournament weekend. Book ahead to make sure you have a spot! Another great way to spend a weekend in Chippewa is bicycling. The nearby Old Abe State Trail is a 19.5-mile abandoned railroad grade connecting two State Parks, from Chippewa Falls to Cornell. Type of Request * I am interested in checking campsite availability. I am requesting a campsite reservation. 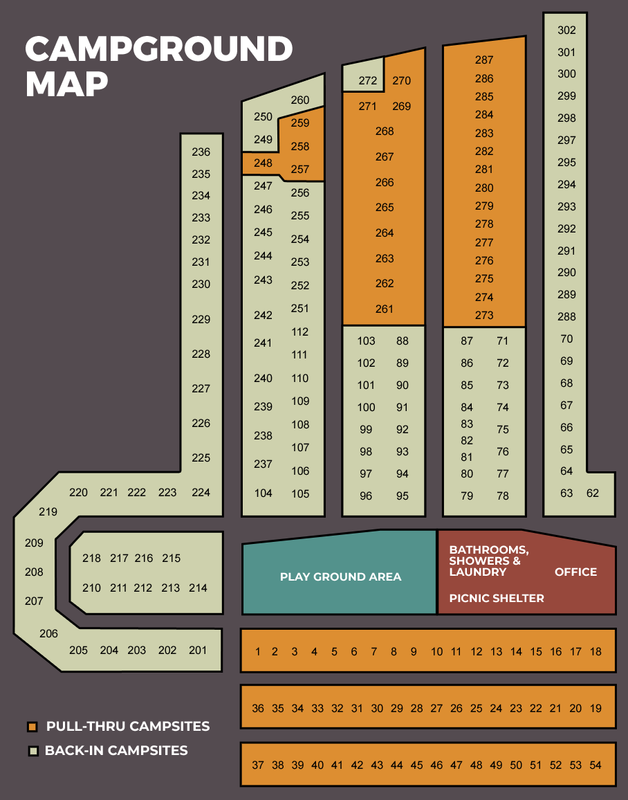 Get directions to our Chippewa Falls campground. Copyright © 2018 Eagle Ridge Campground • Website design and hosting by First Net Impressions, LLC.